We deliver robust, mission-critical solutions developed using Rapid Application Development & Agile methodologies. Our software development services are focused on delivering high quality applications using the right technology that will meet your needs. If you are exploring technology options for your application requirements, our software architects can help you decide. They will assess your existing environment and your business objectives. This knowledge will be used to determine the perfect mix of technologies that will allow you to execute with speed while giving you the flexibility to grow and evolve as your needs change. When you talk to us, we discuss issues in terms of your business goals. Our business analysts have experience delivering solutions for many industries. They will be able to zero in on your critical requirements quickly. They have a keen insight into the practical ground realities that businesses face. This critical understanding is what differentiates us. For our customers around the globe we have architected, designed, and delivered, robust, mission-critical applications that operate flawlessly in real world conditions. Not only that we then go on to provide maintenance and support services for multiple years. 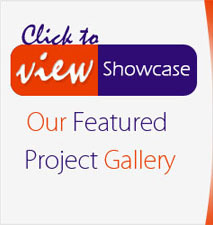 If your requirements are not addressed in the above please do tell us more about your project. It is likely that we will be able to address your needs. In the event we are not a suitable fit it will be our pleasure to recommend other companies who may be better able to fulfill your requirements.